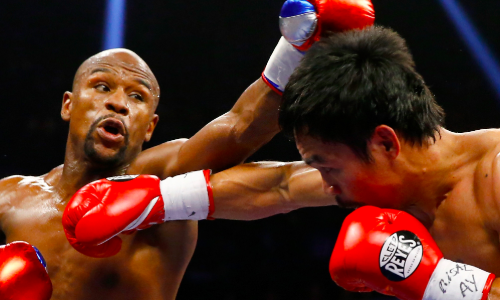 Floyd Mayweather has broken his silence on old rival Manny Pacquiao calling him out for a rematch. Pacquiao, the only eight-time world champion in the history of boxing, scored his first knockout win since 2009 by stopping the dangerous Lucas Matthyse in the fifth round of their bout last week for the WBA welterweight title. Mayweather, who had prevailed over Pacquiao back in May 2015, hung up his gloves after stopping UFC star Conor McGregor in the tenth round last year. And despite the call-out, the American veteran is not keen on coming out of retirement. “Everybody is constantly asking me are you going to come back and fight Manny Pacquiao? Like I said before, we did what we had to do,” Mayweather told Barbershop Conversations. “I warned, he had excuses, but congrats on the victory Manny Pacquiao, keep up the good work. You gotta realize this… I made smart investments. Meanwhile, a more likely opponent for Pacquiao would be Amir Khan or Vasyl Lomachenko – the names he mentioned after his win.